Adirondack; Henry H. Harpp 83, Following a long illness, has joined his wife in heaven on Sunday January 10, 2016 at the Glens Falls Hospital. Henry was born July 8, 1932 in Chestertown, NY the son of the late Harvey H. Sr. and Mertie R. Purvee Harpp. Henry was predeceased by his wife Lilia M. Harpp , his son in law Edward Lafountain and his brother Gerald Harpp. He graduated from the Chestertown Central School and joined the US Navy. He married Lila Mae Bump in 1951 and began a long career as an employee of N.L Industries in Tahawus, NY until the mines shut down. Henry was a hard worker all of his life always having more than one job at a time. He started several of his own businesses through the years, a propane gas delivery service, a gas station/ garage and a laundry mat. He owned a farm with cattle which he loved and took care of by himself. He retired from NYS DEC but he never stopped working, he was always willing to help family or friends at a moment's notice. He was a caretaker for many second homeowners, including the Sand Point Beach Association for over 20 years. He served as fire chief for the Adirondack Vol. Fire Company and was an Assessor for the Town of Horicon. He was a long time member of the F&AM lodge # 425 and The Grand Chapter of Royal Arch Masons Warrensburg Chapter #325. 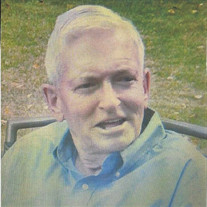 Henry is survived by his son and caregiver for the last year of his life, Eric of Adirondack, his five daughters, Denise (Charles) Otts of South Carolina, Bonnie (Butch) Farmer of Brant Lake, Charlene Lafountain of Olmstedville, Amy (William) Culver of Chestertown and Cricket Harpp and her significant other Don Cordell of Adirondack, nine grandchildren, 14 great grandchildren, his brothers Dwight Harpp of Cobleskill and Irwin and Walter Harpp of Chestertown and many nieces and nephews. A memorial service will be held at 11:00 AM Friday January 15th at Faith Bible Church, 15 Foster Flats Rd., Chestertown, NY. The family suggests memorials take the form of donations to the American Cancer Society. Funeral arrangements are under the direction of the Edward L. Kelly Funeral Home, Schroon Lake.